Steve and Anne Truppe of Tru Studio share what goes into the making of a photo and gets real about what it’s like to start your own company. Tru Studio gives us a look behind the lens at the reality of being photographers and starting your own studio. They share their ups and downs, but most importantly they teach us to get uncomfortable since that’s when we learn and grow the most. 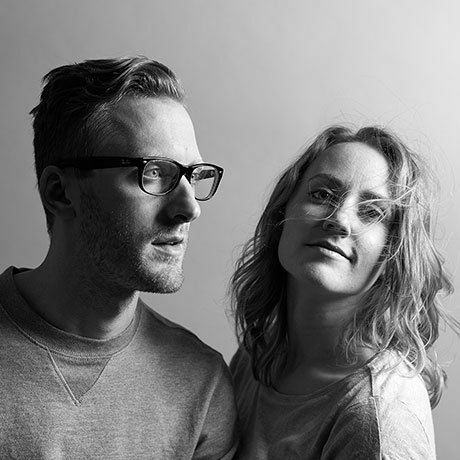 The Chicago chapter of CreativeMornings is organized by Kim Knoll & Kyle Eertmoed of Knoed Creative. Follow along with us at @Chicago_CM! Video by Chris Mendoza and Alejandro Moore. Steve and Anne Truppe are a Chicago-based husband and wife photography and video team who strive to evoke emotion and authenticity in all of their work. While studying architectural design at The University of Wisconsin-Milwaukee, they quickly discovered how well their creative visions meshed, but after graduating in 2008 during the economic crash, they forged a new path by pursuing a joint passion in photography. Together they established Tru Studio, shooting side by side on commercial and advertising projects for clients such as Discover, SC Johnson, Kinfolk, Pinch Provisions, McDonald’s, State Farm and Seed to Serum. Steve and Anne have been written up by the Chicago Tribune and featured by ADC Global, Apple, FPO, A Photo Editor and No Plastic Sleeves, among others.